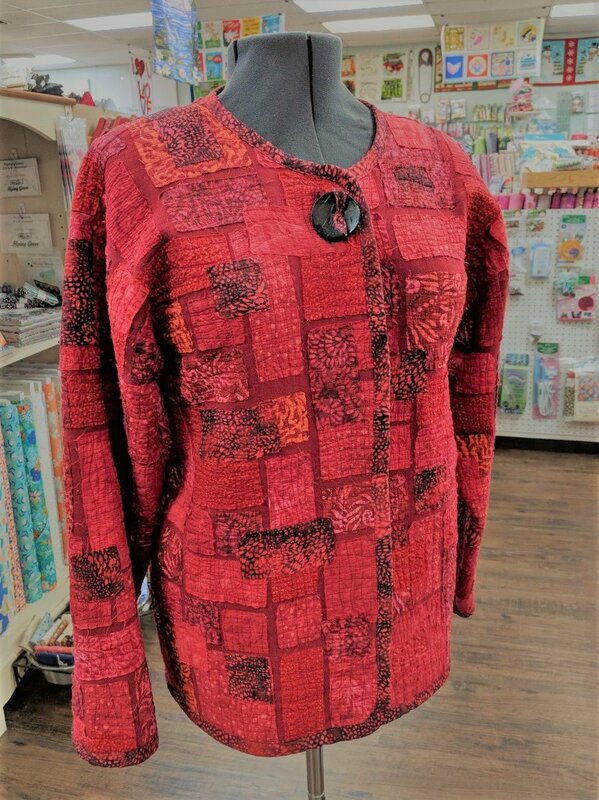 Pattern: I Can't believe it's a Sweatshirt by Gale Abeloe One SET IN SLEEVE sweatshirt or cotton or polyester (choose one 1-2 sizes larger than you usually wear) Fabrics: (8) 1/4 yd pieces or 8 FQ's plus 1/2 yd for binding and accent patches. Notions: two large spools of threat 50 wt cotton to match sweatshirt, rotary cutter, mat, ruler, flower pins, gluestick(washable), shoulder pads if desired, 9-10 ziploc sandwich bags marked with your name, small scissors, pincushion and seam ripper. Sewing machine in good working order!